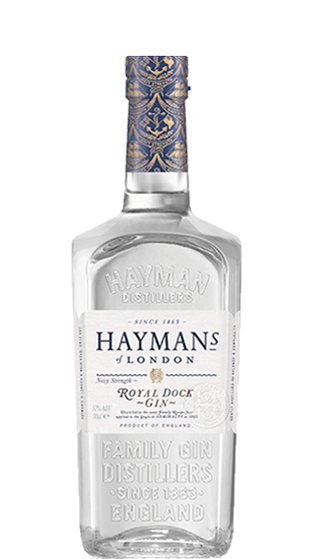 Tasting Note: Royal Dock Gin represents the style of Gin supplied by Hayman’s under the mark “Senior Service Gin” to both the Royal Navy and the trade from 1863. The gin’s robust and bright profile with an enhanced aromatic nose had great appeal amongst the highest ranks of the Navy. It is a Navy Strength Gin – 57% vol. This was the strength required to enable gunpowder to still light if Gin was spilt on it. Royal Dock recently won Double Gold at San Francisco World Spirits 2014.